For the past eight years, NRCA has embarked on 17 missionary journeys, exposing over 300 students to missions. Through this program, students are giving their time to serve on the mission field. The entire school has felt the effects of these mission trips, as leaders are produced and developed. NRCA is continuing its implementation of the requirement for high school students to participate in missions. Every student at NRCA must complete at least one mission trip before graduation. Students may complete this requirement by going on a mission trip with their local church, para-church organization, family, or NRCA. NRCA will be offering 2 mission trips in the summer of 2014. Several Christian universities have agreed to give mission course credit for any student who completes one trip within each level of our missions program. Upon completion of any Mission Trip, a student is required to complete a Mission Trip Form which is available on the school website under Campus Life. A mission trip must partner with a gospel centered ministry. Missions 101 – This is a mission trip within the continental United States of at least 3 days in length. NRCA works with Joshua Expeditions to offer a trip to Islamorada, Florida to conduct a Vacation Bible School for migrant children whose parents are working harvesting the fields. The cost of this trip is under $500. Missions 201 – The second level of NRCA missions is a cross-cultural trip outside of the continental United States. The NRCA sponsored trip provides opportunities to work in orphanages, perform church services, and conduct street evangelism. The cost for this trip is approximately $1,500. Missions 301 – The last tier of the missions program is the most intense mission trip NRCA offers. This trip will require much work and dedication. This program will be for those who show a heart for missions and ministry. This trip lasts for approximately 10-12 days and will cost in the range of $3,000 – 3,500. 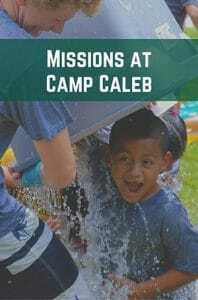 Camp Caleb is NRCA’s longest running missions experience. This is a great opportunity for students to get involved in short term missions with a low cost. We are partnering again, with Joshua Expeditions for this great trip. Camp Caleb is operated in Islamorada, Florida. NRCA will be hosting a vacation Bible school for migrant children, whose parents spend all day in the fields harvesting fruit. Students will have the opportunity to share Bible stories, teach songs, arts, and crafts. Of course the objective of the trip is to simply share God’s great news with those who have not heard. NRCA has been able to secure this great missions opportunity for only $385 per student. This includes your food, housing, and transportation.